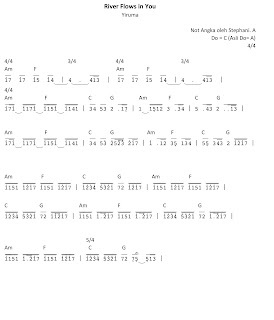 Many people are looking for numeric notation for Yiruma song, such as River Flows in You and Kiss The Rain. And they can't find the good one or the easier version. 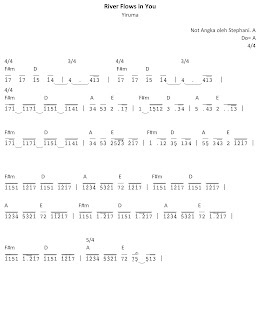 Now, here is my present to all of you the Numeric notation easier version and original version. You can choose,but I still recommend you to play the original version. Don't worry, you can try to learn about the Scale of A major here because the basic key for this song is A major. Don't forget to share this blog. It will encourage me to make more numeric notation.